Dreams - A Classic Rock Fantasy has closed and is no longer available. 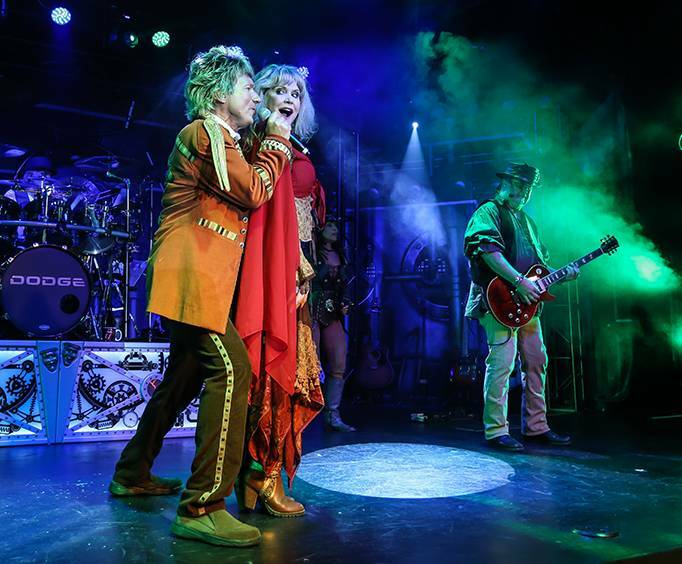 Bring along the entire family as you witness the stunning performances of Julie C&period; Myers (as Stevie Nicks) Martin Andrew (as Rod Stewart), Johnny Moroko (as Mick Jagger), and more. 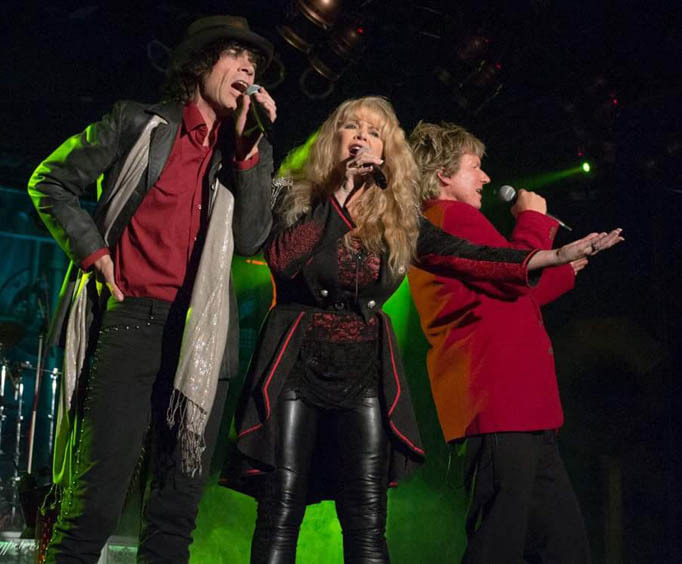 Nominated for the Best Tribute Show Branson Terry Music Awards, he show features classic hits from stars like Stevie Nicks, Mick Jagger, and Rod Stewart, so you can dance and sing along to hits like “Rhiannon”, “Maggie May”, and “(I Can't Get No) Satisfaction” in a live concert setting. This high energy tribute to some of the greatest rock artists of all times takes you on a journey through one man’s dream where anything can happen. The Dream Theater combines a theatrical performance with a choreographed light show and plenty of great cast members to bring you a performance that cannot be replicated. Dubbed one of the best shows in Branson, this is a must-see show for people of all ages during their visit to the Ozarks. 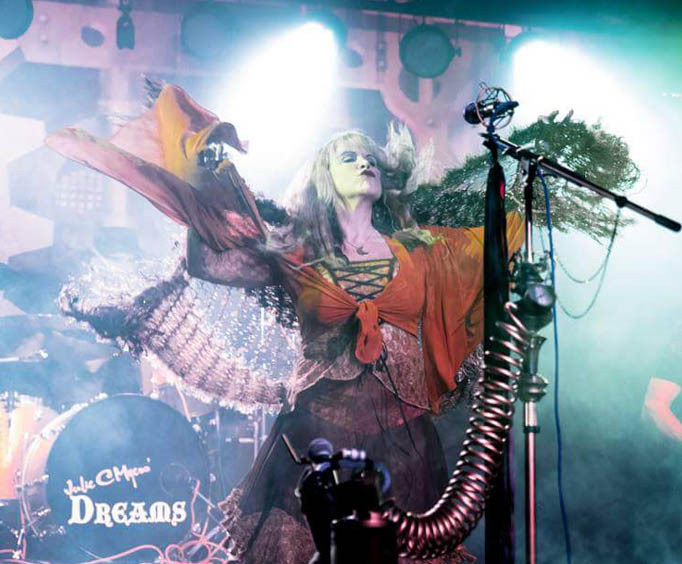 Julie C&period; Myers has an abundance of talents that have helped her become the most famous Stevie Nicks tribute artist in the world. Her energetic yet raspy sound come together with a rock and blues explosion that help bring Stevie Nicks to life in an astounding way. Sit back in awe as Julie Myers wows you with her authentic renditions of hits like “Landslide”, “Talk to Me”, and of course “Dreams”. Martin Andrew storms the stage as Rod Stewart singing all of your favorite Rod Stewart hits. Johnny Moroko flawlessly represents Mick Jagger to bring you the musical styles of The Rolling Stones. It was very entertaining. The performers were spot on, even the mannerisms! You could tell they loved what they were performing. Awesome show! We highly recommend the show. The staff was friendly and the cast was superb! We'll be back next season.